DevOps focuses on fostering communication and improving collaboration between software developers and other IT professionals working in an ecosystem. By improving the workflow channels between the development, quality assurance, and IT operations, DevOps can augment an organization’s speed to develop software and optimize operations. However, firms operating in the enterprise landscape find it difficult to implement DevOps due to the large transition requirements and workflow changes needed during this change. “A company has to overcome legacy thinking and move out of their comfort zone,” says Darshan Puttannaiah, Founder and CEO of Qwinix Technologies. Puttannaiah founded his firm to help companies streamline their workflow by implementing and managing DevOps initiatives. “Enterprises benefit with more consistent outcomes and agility when development and operations are driven through intelligent automation tools,” he adds. Qwinix Technologies reduces the response time taken to address security vulnerabilities and the time-to-market for products with effective implementation and automation within all levels of DevOps. “Using automation and coupling it with organizational-structure changes that encourage collaboration, our clients have achieved rapid operations and higher quality,” says Puttannaiah. “To aid in the implementation of a DevOps model, we help our clients by first breaking down the pre-existing stereotypes and then redefining the employee roles to promote a collaborative working environment,” says Steve Lynch, Director of DevOps at Qwinix Technologies. This effort helps improve the productivity and team quality as a whole. In addition, with the deep software engineering experience of Qwinix Technologies’ team, the firm is able to push the existing boundaries of DevOps to new areas. 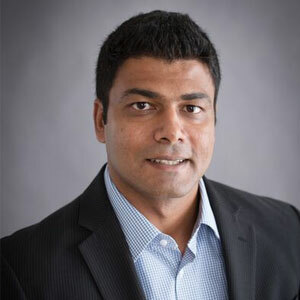 “We provide the experience that enables a company to evaluate the end-to-end organizational commitment and employ practices needed to be successful,” says Puttannaiah. By constantly interacting and guiding their clients, Qwinix Technologies increases the chances of conversion throughout the organization to leverage DevOps practices effectively. From becoming a partner for software development to conducting cloud migration and carrying out end-to-end DevOps services, the solutions offered by Qwinix Technologies are size agnostic and can be implemented both at a project level or throughout the enterprise. This adaptability of Qwinix Technologies solutions has helped forge partnerships between IT and business organizations. “Such partnerships have always helped in meeting the common business goals as there is reduced bug fixing and refactoring and more value being delivered to the consumer,” says Puttannaiah. In selecting its own partners, Qwinix Technologies’ strategy involves seeking out clients who fit the organization and share a passion for DevOps adoption. “We ensure that when serving our clients’ DevOps adoption needs, we have the right tools and an apt team to complete the project successfully,” says Lynch. For the future, Qwinix Technologies aims to collaborate and partner with industry experts in the U.S. They have established the Qwinix Labs to observe and leverage market trends to develop better DevOps practices. The company also has efforts in place to grow its current presence in Denver, Colo., India, and Costa Rica. “We are aggressively expanding in all of our locations and have plans to establish ourselves in Dubai,” states Puttannaiah. With DevOps growing in prominence worldwide, Qwinix Technologies is poised to expand in the U.S. and across the globe to spread the adoption of DevOps methodologies. An application development and software solutions provider specializing in Agile Development, Lean Thinking, Continuous Delivery and DevOps using a global delivery model.